to hijack his economic policies and ensure they are under the control of a few cabals. He spoke during the public presentation of a book entitled: “Economic diplomacy and Nigeria’s foreign policy”, written by the immediate chairman, Board of Tertiary Education Trust Fund and chieftain of the Peoples Democratic Party, Dr. Musa Babayo. 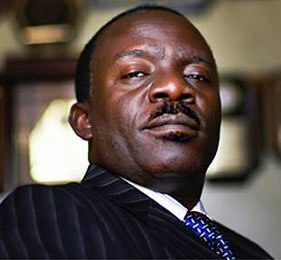 Falana who was obviously reacting to Buhari’s recent state visit to the United States of America, where some Nigerian businessmen and industrialist were allegedly turned down from having audience with President, said these development may have accounted for why the President has not been forthcoming with his economic agenda two months after his inauguration. He said the President has been inundated with numerous suggestions on how to handle the nation’s cash cow,the Nigerian National Petroleum Corporation (NNPC), especially on issues bothering on corruption against the agency,but noted that their argument clearly lacked merit. He said, “The national planning have been abandoned for market forces by those who control our country, and what is going on now, even from the APC, there are people that are mounting pressure on President Buhari to continue to run the economy of Nigeria in the interest of a few people and in the personal minority interest of captains of industry without industry. “But I think the President answered them last week; you know their campaign now is that “you must remove fuel subsidy, you must devalue the currency, you must privatize NNPC of all institutions” and the President said “I am not going to privatize NNPC, I will break it into two for effective performance,” which I think is the best for our country”. He also slammed those accusing Buhari’s administration of lacking clear focus and direction,saying the new government has activated a constitutional provision which would ensure that all cases of corruption emanating from the anti-graft agencies would be dispensed with in the law court within a maximum of six months time frame. The human right lawyer said government has a duty to cut cost of governance by first pruning down the number of embassies in other countries. “There’s an area that we need to develop now that the government is trying to cut cost. We have too many embassies all over the world. I got to a country in Africa recently and discover that the country has a population of about 300,000 and we have an embassy there. “We have embassies in the 16 member state of West Africa and in all African countries. I think we have to do something about that,”he said. Also speaking, a former Minister of Foreign Affairs, Prof. Ibrahim Gambari, said decades of talks on diversification of the economy from a mono-economy should now be translated into concrete actions. According to him, following the new global realities and power configuration, there is an urgent need to bring together all major stakeholders to foster better economic management. He said government must tackle headlong the current socio-economic challenges,such as high poverty level,huge youth unemployment and perennial disconnect between the government and the citizens has invariably led to high levels of distrust on the leaders and the rest of the citizens. The Executive Director, Human Rights Monitor, Festus Okoye, called on the President to implement the report of the 2014 national conference. He said, “Since the last all Nigerian conference on foreign policy, nothing has been said about it. In Nigeria, everything takes us by surprise. You cannot embark on good and effective foreign policy if everything take us by surprise. In Nigeria, EFCC makes arrests before prosecution and that has been the trend. “But I think that aspect should also be looked into. You can’t embark on effective economic diplomacy if it does not fall within the ambit of the law. Also, the fact that there is a new government doesn’t mean everything about the old government should be thrown away. He also emphasised the need for the present government to critically review the number of embassies Nigeria has abroad. Ahmed lamented that the present condition of almost one and a half of the embassies cannot lead to any meaningful foreign relations and economic diplomacy. His words: “We have to get the management of our resources right in this country. When we abandoned national planning, when we can predict the second Onitsha bridge will start and complete in a certain time, we are improving. We just make every developmental issue political. At the time of campaign we will go and say Onitsha bridge will be completed. “We come back, sit down, by the time we realize we have not even started the construction and another period of election we will go back and say that this time this bridge will be completed. But if it is well placed in the national plan, you have for the next five years, the amount of time it is going of take, the spread of funding and those that will manage it. This was attempted during Yar’Adua administration. “I recommend that we should return to the national development plans. I as Secretary to Government then would not influence road to be constructed in my village if it was not in the plan. Secondly, there’s a need to take a critical look at the number of embassies we have and their funding. In a situation whereby the economic desk is bringing for people who are visiting, buying papers, I wonder what kind of economic diplomacy they are going to bring when they are not fully provided for. The President, Partners for Electoral Reforms, Ezenwa Nwagwu, said Buhari’s recent visit to US was hasty. “I think that Buhari’s visit to US is hasty, we have been finished if compared with President Barack Obama’s visit to Kenya and we have been dwarfed. I don’t think it is right for the President to visit US without ministers. “Indians and Asians have taken over our country, I’m disturbed by our public relations practitioners, especially the way they eulogize these encomiums on them immediately they arrive the country. In this whole mantra of change, there is no successful economic policy without the people”, he emphasised.